I have always wanted to participate in a flash mob. Well, not always, be ever since I knew they were a thing, I knew I wanted to be in one. If I had one SHRED of talent, I would be trying hard to get onto Broadway – I *love* singing and dancing and theater, and the whole thing. The kind of people who would burst into song within the course of their everyday lives? THOSE are my people. I am not a quiet person. And I am kind of unembarassable. 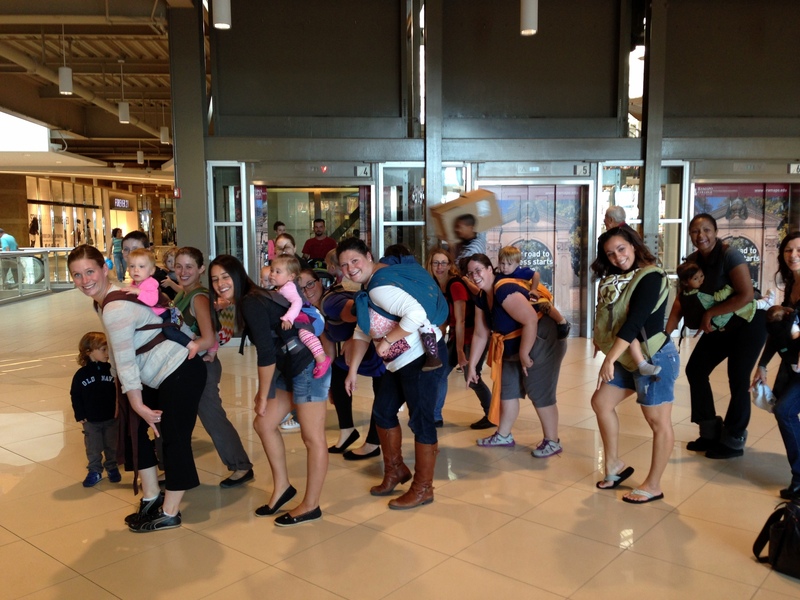 A few years ago, during International Babywearing Week, someone in the city was tossing around the idea of a Babywearing Flash Mob. This was the Best Idea Ever. Babywearing AND Dancing in Public? Sign me up. Unfortunately, there were logistical problems at the time, and the would-be organizer didn’t actually end up organizing anything, so my dream was crushed. Until yesterday. 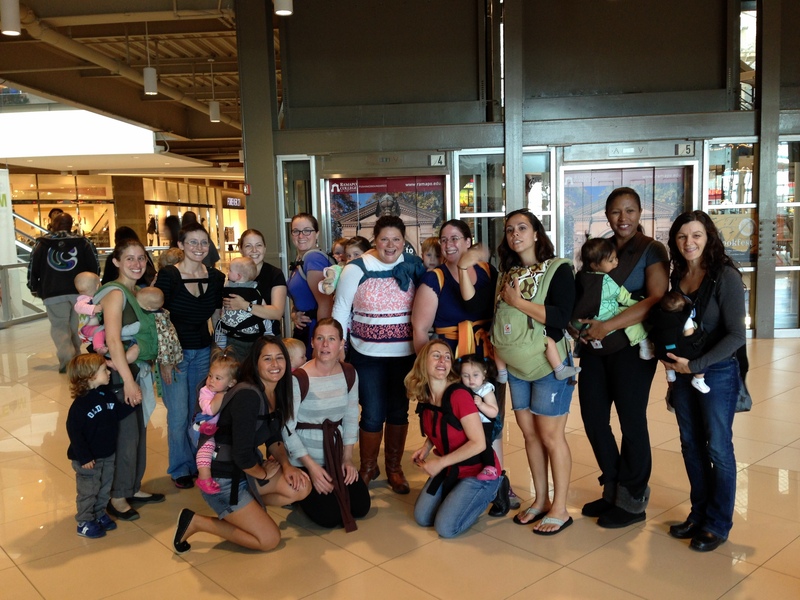 I recently became certified as a babywearing educator for my local Babywearing International chapter – and the Social Media/Events coordinator. So I coordinated my own Flash Mob! There was a fe hours in the morning where I was *convinced* that no one else would show up and I would be dancing all by myself, but my fears were unfounded – there were 15 of us, and one or two intended to come but couldn’t for one reason or another. We had so much fun – and an excellent response – so much so that I may need to plan another one! So many thank yous to all my wonderful baby mama friends who danced with me, and to Leigh, for permission to use her quite perfect song!